Entrance to the Medical Center at Duke University. 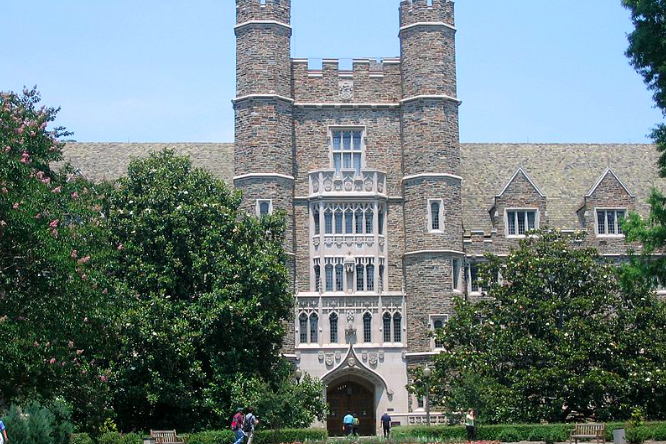 Duke University announced Wednesday that it has temporarily suspended all sorority activities after a new sorority member was hospitalized overnight in an alcohol-related incident. Officials at the university in Durham, N.C., announced their decision via Twitter after circulating an email among the Duke Community earlier Wednesday. University officials added that the hospitalized student, whose name was not released, had been participating in rush and bid-related activities typically associated with becoming an official member of Greek organizations. Clarybel Peguero, director of Fraternity and Sorority Life at Duke, told local news outlet WNCN that the student was listed in critical condition but is expected to make a full recovery. The suspension will affect all 18 of the sororities at Duke University, though the fraternity involved in the recent incident was not disclosed. A meeting of the Duke Panhellenic Council was scheduled for Wednesday afternoon to address the incident and review activities at the sorority chapter in question.